Is your man cave ready for some football? With a little help from GFC, it could be. August is almost here, which means a new NFL season is right around the corner. The Vikings are getting a new home turf – and you can too – right in your garage. No matter which team you root for, a better man cave starts from the ground up. Get a finish that lasts the entire season, and well into the future. First things first: if you want an impressive man cave, you’re going to need to get rid of any clutter. If you’re the kind of person who lets their garage get messy during the summer, whipping it back into game day shape might be a challenge. You will need to store most of your lawn keeping equipment, yard games and other random items somewhere else if you want a comfortable entertainment area this fall. 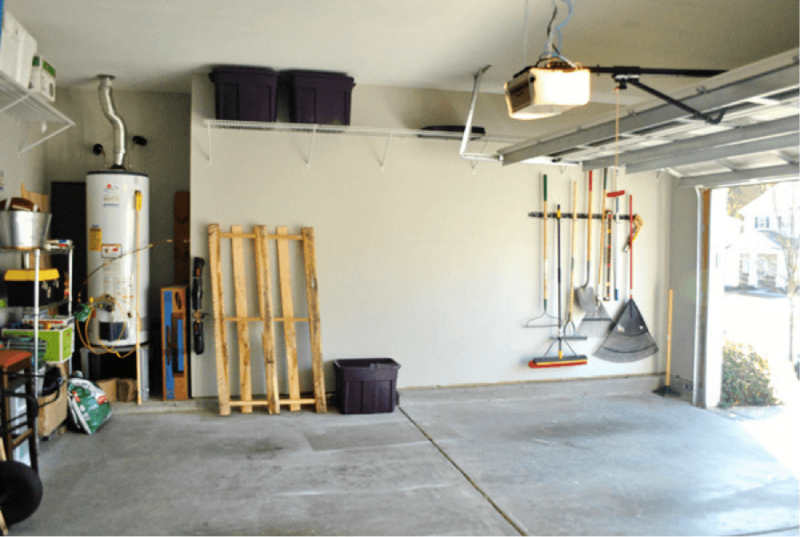 Once all of your items are out of the way, look down to check the status of your garage floor. If you have dirt, grease or oil stains that have accumulated over the summer, it might be time for a deep cleaning. You don’t have to invest in a power washer to get it done, just call our team for professional chemical cleaning. There’s nothing like watching sports in a spotless garage. What formation will you be running in your garage this season? It’s your call, and there’s really no wrong way to enjoy your favorite sport. If your garage is large enough, consider installing a dining area with a full wet bar to entertain friends and family like never before. A full refrigerator is a nice perk, and saves a few trips to the kitchen between plays. Seating is another factor to take into consideration – you can go with small chairs, bar stools or even a full couch if room allows. Remember that during football season, snowflakes can fall. You might need to admit one or two vehicles to your viewing area when the weather turns nasty. If you have a GFC floor, they won’t take a toll on the surface, but remember to place your television in an area they won’t obstruct. Every team goes through rebuilding periods – and so do homes. This might be the year for your garage floor to reach its full potential. You can improve your coverage with a stained, polished or coated GFC surface. Beyond the fundamentals, our polyhybrid coatings are guaranteed to intercept water, chemicals and UV rays. Viewing parties can get messy, but coated concrete is easy to clean: a mop and water usually does the trick. You’ll avoid peeling for a lifetime and get the look you always wanted for your man cave. In fact, you can even choose colors and stains to match the branding of your favorite team. 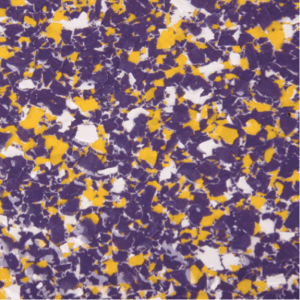 We are able to use specialized UV chips to create a mosaic of color that screams team pride for die-hard fans. It’s the second half of summer and the clock is ticking. NFL fans are already drawing up their game plans for the upcoming season, and you should too. Don’t spend another season watching the game with unnecessary distractions. Cheer loud, boo bad calls and use questionable language when your kicker misses a chip shot from the comfort of your own viewing space. 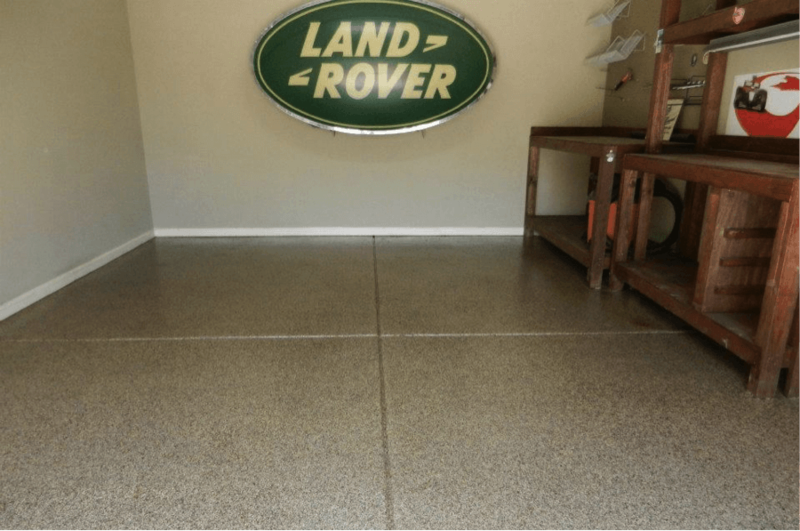 Even if you don’t update your garage, you can convert an interior room into the perfect man cave –polished concrete looks just as great inside as it does outside. Create an oasis of sports fandom; our pros are ready to help make it happen.